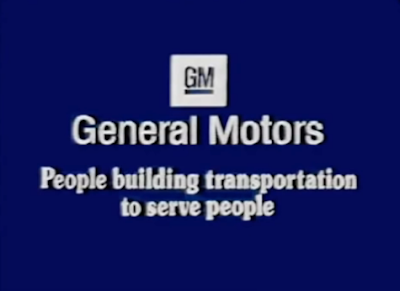 The “Star Wars” Holiday Special of 1978, it turns out, at least based on what appeared to be an old VHS copy uploaded to the Interwebs, was sponsored by GM. I mention this only because it instantaneously brought home why I sought out this infamous CBS production in the first place. Last year, as America 2017 wound down, I sought out John Denver’s ABC 1975 Holiday special “Rocky Mountain Christmas” to soothe my soul. But as America 2018 winds down, I do not want to soothe my soul; I want to court disaster. And what is more legendarily disastrous than the “Star Wars” Holiday Special, which nearly every December inspires editors to demand articles recounting, once again, the Special’s confusing genesis, confounding rendering and wretched product. Those articles are usually fun, but they allow you to maintain your distance, like watching a garbage barge from the shore through binoculars. That, in America 2018, is the coward’s way out. I wanted to go straight to the source; I wanted to see for myself; I wanted to stand amidst the trash and breathe in the fumes. The production, subject to differing reminiscences as creative debacles often are, seemed to spring from both CBS’s desire for a Holiday-type variety show to capitalize on the massive box office success of the (real) first “Star Wars” and George Lucas’s insistence that the Special’s narrative backbone be – God help us – Wookie home life. The result, in which Chewbacca’s family’s concern over the famous Wookie’s failure to return home for something called Life Day (likely leaving a certain kind of contemporary viewer to wonder why they don’t celebrate Christmas in a galaxy far, far away), is both metaphorically and literally unintelligible, giving rise to the late Roger Ebert once asking in a review: “Does Han Solo really understand Chewbacca’s monotonous noises? Do they have long chats sometimes?” I don’t think he would without the benefit of the screenplay. Half the dialogue, so to speak, is just Wookie noises regretfully sans subtitles, a little like “2001’s” Dawn of Man sequence absent any artful touch. This is truly explicated in the sequences where Mark Hamill and Carrie Fisher as, respectively, you know who, are made to communicate with Chewbacca’s family by way of wall screen, or something. The actors are not Phoning It In so much as Unsure of What in The World They Are Supposed to Be Doing. Hamill’s double-take, in fact, epitomizes this confusion, truly looking like bewildered man without an acting partner. Harrison Ford, who the Special occasionally cuts to in the Millennium Falcon with Chewebacca as they try to get him home, comes across disinterested, though he came across disinterested in “Star Wars” too, which fueled his roguish charm and implies context counts for so much. The aesthetic, meanwhile, is the Special’s downfall and saving grace, at least to someone watching it in 2018, with the Wookie home something like the dodo family house in “Follow that Bird!” crossed with Barbarella’s cockpit. And if that sounds risqué, well, I haven’t even mentioned the apparent mind evaporator (which I can only namecheck courtesy of Wikipedia), into which an impressionable Wookie places his head where we suddenly find ourselves teleported out of a galaxy far, far away and into a Disco-era music video starring Diahann Carroll. This moment is evocative of the entire Holiday Special, at once family-friendly and not family-friendly at all, like when I saw “Jurassic Park” in the summer of 1993 and decided, afterwards, to see “Rambling Rose” because it had Laura Dern too. The mind evaporator is representative of innumerable other gadgets and gizmos the Wookies mess around with, which, and I’m admittedly stretching here, sort of evoke old school holiday RadioShack ads, a tie-in I’m surprised was overlooked. And it is through these screens that the clearly overmatched Holiday Special writers are able to incorporate their variety show add-ons, like a Jefferson Starship performance, or a cartoon featuring a pre-“Empire Strikes Back” Bobba Fett which is probably the closest this hootenanny gets to True “Star Wars” (unless you count the actual “Star Wars” footage the Special employs because it wouldn’t have afforded or managed the effects otherwise), or, best of all, Bea Arthur. 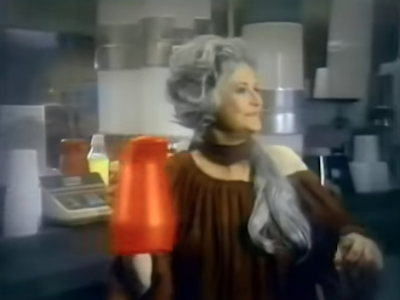 Bea Arthur serving Mos Eisley booze out of a Kool-Aid pitcher, apparently. Upon first learning years ago that Bea Arthur was in this thing as proprietor of the Mos Eisley Cantina on Tatooine, I imagined it as a “D.C. Follies” situation, complete with a laugh track. What transpires, however, is less simply comic than theatrically surreal. To say this is what the “Star Wars” Holiday Special could have been is out line because even if had been just this it would have only appealed to leisure suit lounge lizards. Still, it’s the lone moment truly trying to approximate a “Star Wars” revue as Arthur, who might not have been game so much as “oh, the hell with this” professional, tries to kick all her extra-terrestrial clientele out of the cantina due to an Imperial-mandated curfew by leading the whole place in a singalong to some sort of riff on “The Alabama Song.” “Just one more round, my friend,” she sings, “just one more dance, my friend,” advising the aliens to leave even as her song intrinsically encourages them to stay, spiritually embodying the Holiday Special itself, a precursor to the unrelenting cycle of “Star Wars” spinoffs and by-products, claiming we don’t want more but mindlessly consuming it anyway.